Adobe® Acrobat® XI is a popular PDF editor and converter. However, Adobe Acrobat XI has now ended support, meaning there are no longer product updates. Using Adobe Acrobat XI on newer versions of Windows will be a challenge since it might not be compatible with newer versions. PDFelement is a premium Adobe Acrobat alternative that offers multiple features in one simple platform. Apart from being multi-featured, PDFelement is also multiplatform, with support for Windows 10, macOS Sierra, and iOS platforms. The application comes with the usual set of functions that include PDF editing, viewing, and printing, and combines these with advanced functions such as PDF conversion, creation, and OCR for scanned documents. Forms and templates can also be accessed through this application. Easily convert files to HTML, Office documents, and image files. Create and combine multiple PDFs into one PDF with batch PDF creation. Edit PDF files without effecting original fonts and formatting. Create editable PDF forms from non-fillable files. Secure documents with digital signatures and password encryption. Nitro Pro 11 is another worthy alternative to Adobe Acrobat for Windows 10. It's become popular, largely due to its integrated cloud-based solutions. 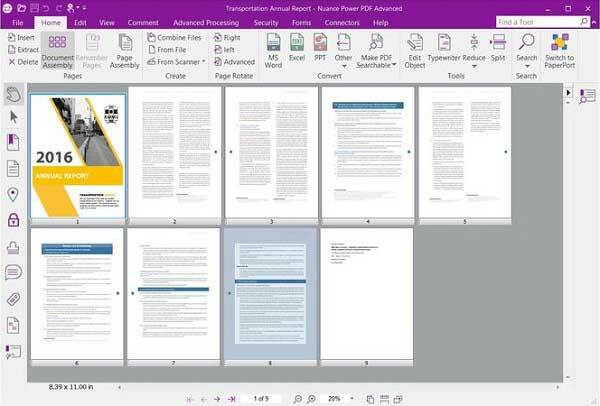 Nitro Pro 11, a product of Nitro PDF, is the paid version from Nitro that bundles different features for advanced users. It can be used to edit PDF files, perform document conversions, print, and add annotations to documents and share files via Nitro Cloud, a proprietary service from Nitro that connects users to the cloud. Integrated cloud-based solution to share files with other users. Sometimes the OCR tool doesn't work properly with larger documents. Editing is not quite as simple as other programs like Microsoft Word. 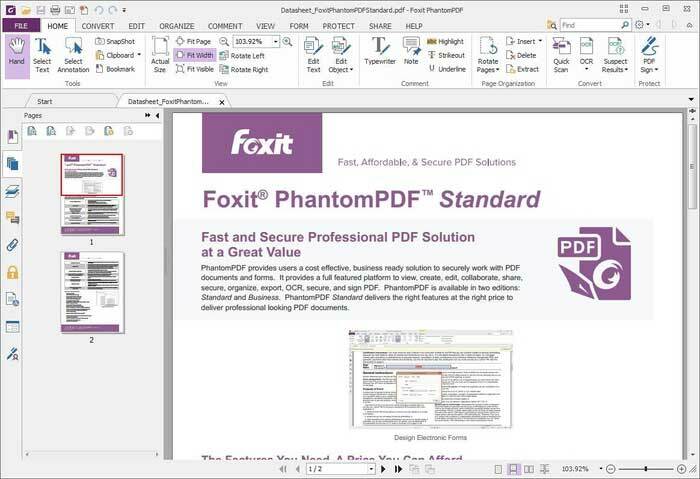 Foxit Software is another Adobe Acrobat XI alternative. 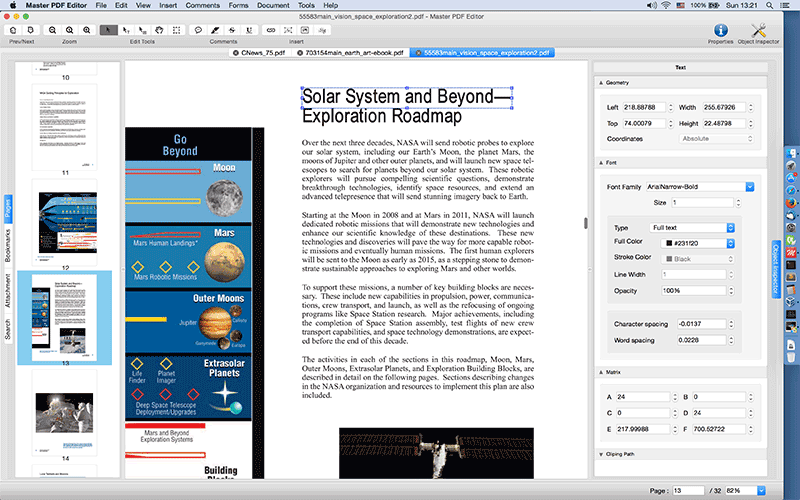 The free version of Foxit Reader contains the basic functions that Adobe provides, such as viewing, printing, and annotation features. However, the PhantomPDF line of PDF applications was released to compete with the advanced version of Adobe Acrobat. It has a Business version and Standard version. Contains many different PDF features. There is some feature overload with this software, which can make it more complicated to learn. Infix PDF Editor 7 is another worthy contender in the area of PDF editing. 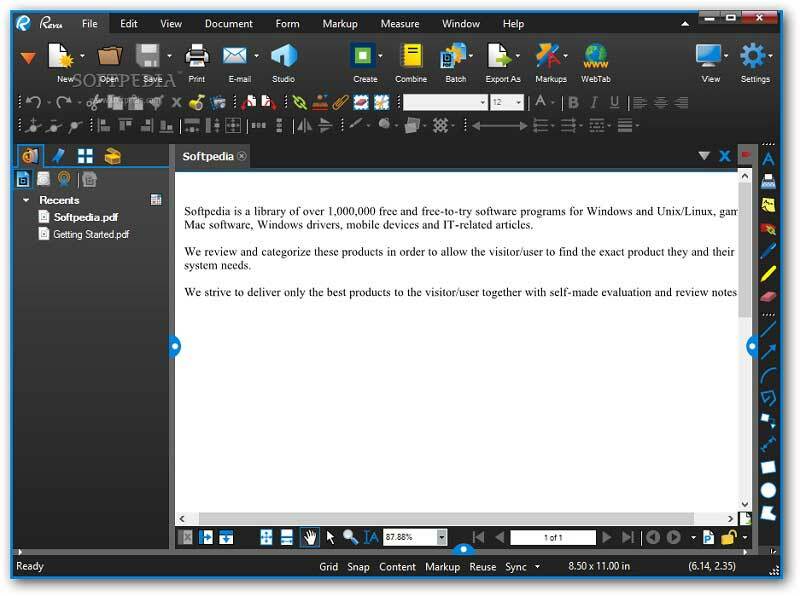 This application comes with an interesting user interface that is strikingly similar to Microsoft Word. It even works more like a Word processor in many ways, including modifying font, text, making scanned files searchable with OCR, and adding images within the application. Inserts a printing module in the printer dialogue when creating PDF. Fixed watermark for filled forms on all PDF outputs. Subscription model can be difficult to track and manage. 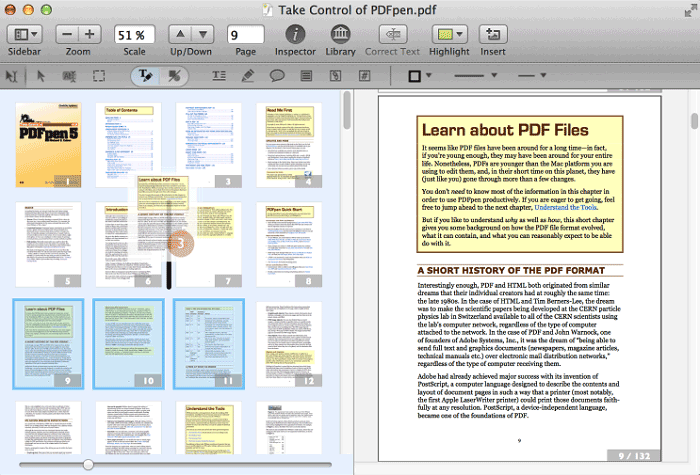 This is a simple but powerful PDF editing tool that lives up to most PDF editing expectations. Master PDF Editor is a capable PDF text, image, and page editor that also bundles PDF creation, XPS to PDF and PDF to image conversion, the addition of PDF controls, form validation, and other editing features on a single platform. Supports digital signatures and encrypts files with 128-bit encryption. Watermark can't be removed in free trial version. This is an incredible Adobe Acrobat alternative for macOS Sierra. 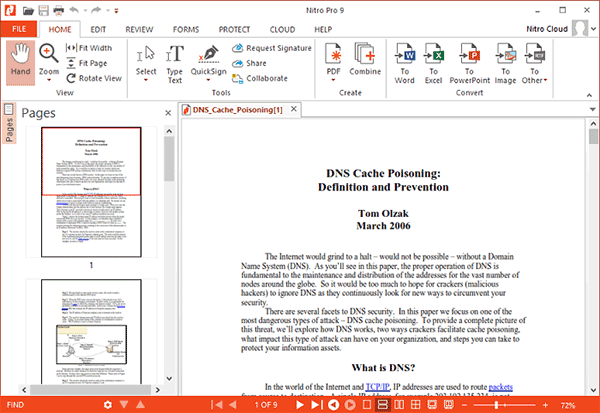 This software can edit PDFs text, images and links. It lets you combine multiple files into a single PDF document. 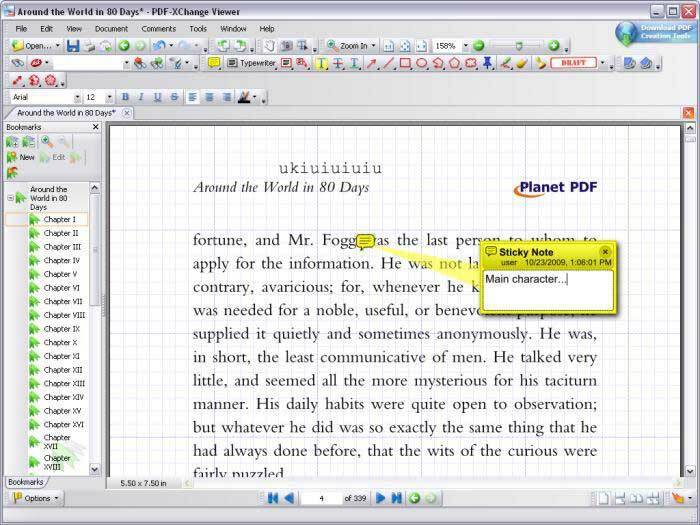 You can also annotate PDFs and secure your PDFs using this software. With powerful reading capabilities, you can easily review 100 pages of a contract or an essay. You can choose the layout you prefer to make your reading tasks easier and faster. Compress PDFs and reduce file size without ruining formatting. More cost efficient than Adobe Acrobat. Does not convert PDF files. OCR feature is not supported in this program. Not compatible with Windows OS. PDFPen Pro lets you view and manage your PDF files just like with Adobe Acrobat XI. It's another alternative to Adobe Acrobat for Mac OS X El Capitan. It can convert files to other popular formats. This software not only allows you to view PDFs but also edit its text and images. You can also draw markups, highlights, edit text pages and add comments. Use this tool to scan, redact, sign PDFs and fill out PDF forms easily. You can also use PDFPen Pro to create PDFs and export PDF files to formats like Word, Excel, PowerPoint and Images. There is also an app that is compatible with iPhones and iPads. Powerful form-building tools and advanced export options for PDF forms. Compatible with iOS, making it easy to work with iPhones and iPads. Only supports Mac OS 10.11, but not the latest 10.12 macOS Sierra. PDFMate PDF Converter is a PDF program with powerful functionalities. 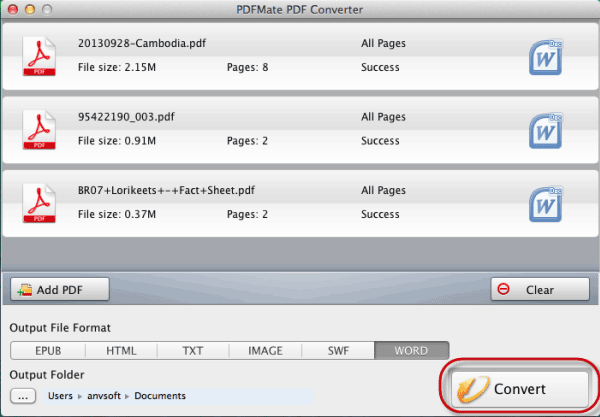 You can convert PDF documents to EPUB, JPG, HTML, Text, Word and SWF formats on Mac. In addition, scanned PDF files can be easily converted using OCR. It also supports batch conversion and customization of files. Supports converting PDFs to hundreds of different formats. Embedded OCR can convert scanned files into editable ones. Lack of PDF features aside from conversion. 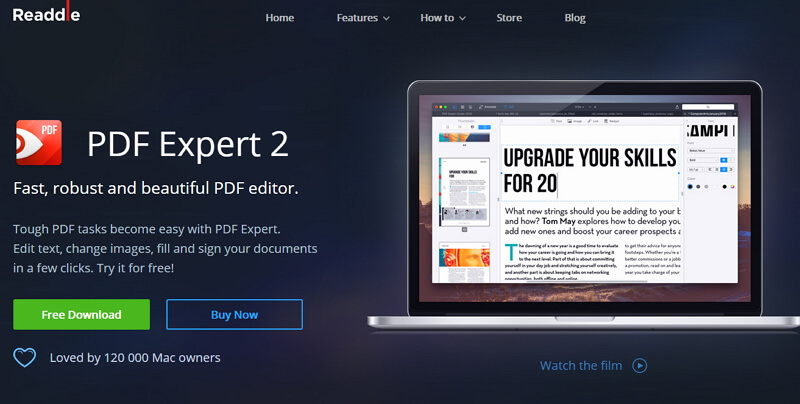 Another alternative to Adobe Acrobat XI is Nuance PDF Pro. This software is also integrated with several PDF features that makes it appears at the top of our top list. It allows you to create PDF files from scanned hard copies and existing PDF files. It can also output PDF files to formats like Word, Excel, PowerPoint and JPEG. You can edit PDF text and images and reorganize PDF pages using this tool. Automatically check documents and delete sensitive data through advanced security features. Integrated with enterprise document management systems to achieve secure integration. Not compatible with Mac OS X.
Bluebeam Revu is specially designed for business professionals who can easily edit, manage, mark up, organize or collaborate through PDF documents. It has many advanced options such as Cloud based services for sharing, enhancement tools, Hyperlinks, alignments, export bookmarks, and so on. It offers batch conversion of PDF’s, MS office and Outlook file formats. It is available in 3 flexible pricing models for different users. Customers are charged for upgrades to features. 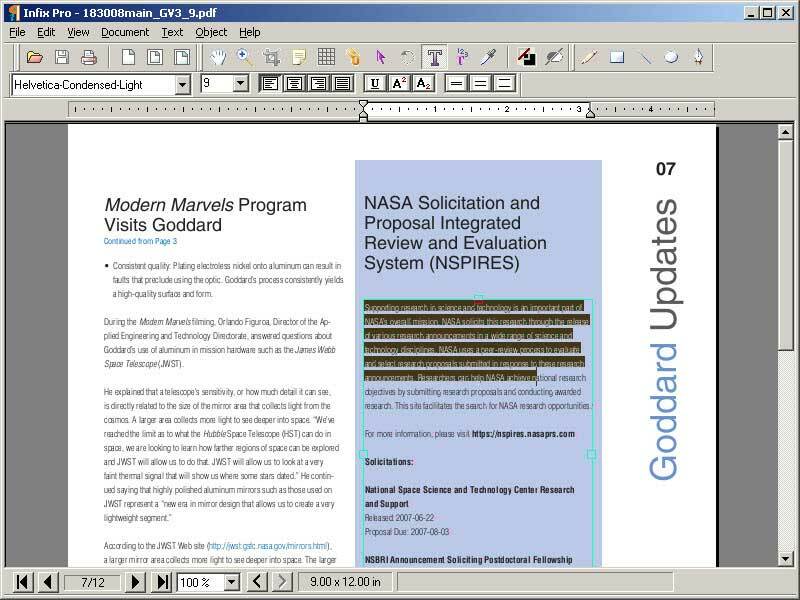 SodaPDF supports many useful features for viewing a PDF document. 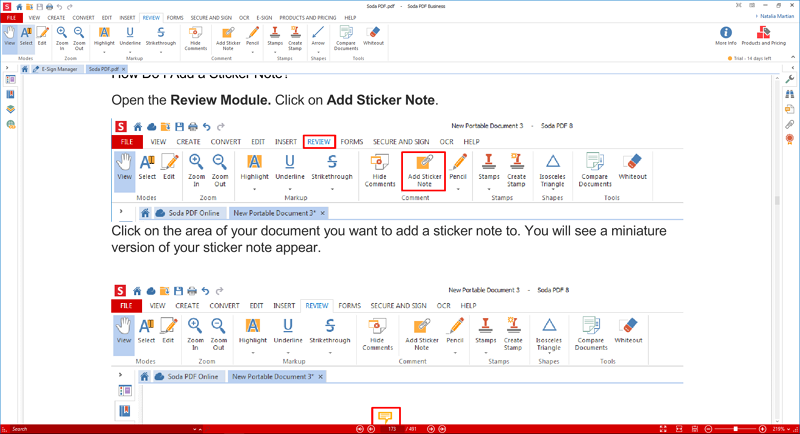 It consists of unique features like Multi-Document viewing and many different reading modules to make your reading experience easier. You can fill forms, annotate, highlight or even convert PDFs into HTML, RTF or TXT. You can also view PDFs via online sharing services such as OneDrive/Google Drive. Search for spcific keywords and automatically replace or redact them. Subscription model comes at a higher cost. PDF-Xchange Editor is best suited for students and individuals as it has all the resources necessary for handling any type of PDF file. It has the ability to handle multiple PDF documents and projects and supports all the basic features like adding bookmarks, setting reading modes and using annotation tools. Great markup tools as well as annotation features such as shapes and notes. You can open files from your browser and create PDF documents from existing file formats. Its free version has limited features.